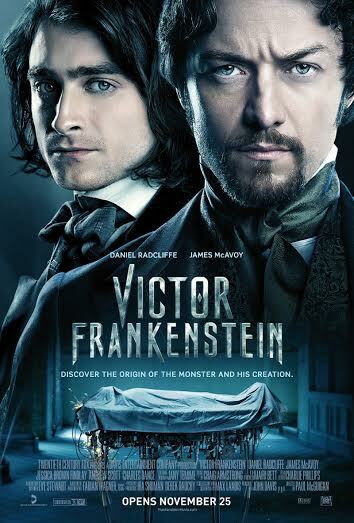 The re-imagination of the classic Gothic novel from Mary Shelley about the eccentric scientist, Victor Frankenstein, was given a glamorized treatment in this recently released movie with the same title. With the inclusion of two of the most sought-after and important actors in the British entertainment industry, Daniel Radcliffe and James McAvoy, "Victor Frankenstein" is nothing but a truly a remarkable movie experience that every fan of the two actors or the original novel should not miss. There are actually only two actors in the movie and the rest are just bit players. These two actually can go on with the movie even without the whole sound stage production also. The costumes, settings, era, and Gothic-ness feel of this movie are just the icing on top of a cupcake. You can feel the glamour and Gothic at the same time, which are good by the way. Daniel Radcliffe's performance as the ever-loyal hunchback Igor outshines the most in the movie. His portrayal of the famous hunchback character is way beyond our expectations. Perhaps, the new twist of the movie for the Igor role has helped a lot in establishing the core or the foundation of the story. I won't discuss anything about this any further, but I can only guarantee that Daniel Radcliffe's a winner here! Meanwhile, James McAvoy's acting performance lacks some power and eccentric-ness to be frank. I did not see a very influential and powerful Victor Frankenstein in him. Maybe it's the Professor X thing. But still, I don't know. It's just that, this movie is supposed to be all about him, isn't it? Moving on. Overall, we give the movie "Victor Frankenstein" a 7 out of 10 stars for great special effects, storyline, and Daniel Radcliffe! "Victor Frankenstein" is now showing in Philippine cinemas from 20th Century Fox and released by Warner Bros. Philippines.